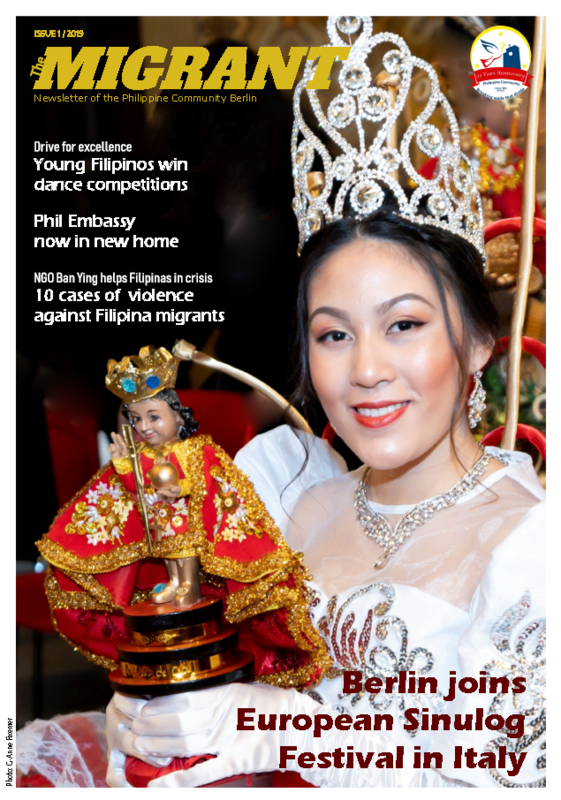 The Migrant is the official newsletter of the Philippine Community in Berlin, Germany. It aims to document the activities of Filipinos in Berlin and to inform about relevant issues such overcoming challenges of living as Filipino migrants in Berlin. The Migrant is published bi-annually by the Philippine Community Berlin, Bayernallee 28, 14052 Berlin, Germany. Issue 1/ 2019 coming soon!